Interserve - "Crisis? What crisis?". I suggest customers and suppliers need to take stock or it could be "like deja vu all over again". It was 1979 and three simple words, "Crisis? What crisis? ", are said to have lead (or contributed) to the downfall of the then Labour government. The fact that the then Labour Prime Minister, Jim Callaghan, probably never said them is irrelevant when it comes to political history. Moving forward some 39 years, a reported drop in Interserve's share price from 124p to 11p within a year could lead some to recall these three simple words and parallels are being drawn with Carillion's collapse in January 2018. Interserve's Chief Executive is reported as confirming the present government's support for Interserve's long term recovery plans. One would not expect a CEO of any business to say otherwise. However, the City does not always look long-term and many of Interserve's suppliers and sub-contractors may share this view. By analogy Mrs May had a long term plan for 'Brexit meaning Brexit' but that plan seems to be going nowhere. (4) sub-consultants and sub-contractors will want to ensure that their interim applications for payment are up to date and any that have yet to be assessed and/or paid are moved along. We are, in this festive season of goodwill to mankind, entering the 'adjudication season' when the unpaid sub-contractors instruct teams of claims consultants and/or legal advisers to issue Notices of Adjudication along with the Christmas email wishing their clients a happy and prosperous New Year. If I were on the inside looking out I would be looking at all of the above. In some cases I might be seeking to negotiate better terms before signing the contract. I would be checking what security documents my sub-consultants and/or sub-contractors have not provided and whether I could withhold payment or not - every penny may help in the immediate short-term. As William Lowndes is reputed to have opined, "Take care of the pence, and the pounds will look after themselves". I would also be bolstering my defences for when the Notices of Adjudication start coming into Interserve email inboxes on or before Friday 21 December 2018. And I would be pursuing unpaid sums more vigorously although an upturn in 'aggressive' debt recovery can also be a sign of fragility, i.e. there is a cashflow problem. The above points may help some avoid the full impact of the collapse of another major contractor, However, if (and it is still an "IF") Interserve does follow Carillion, the biggest losers are likely to be its employees of and those of its supplies, sub-contractors etc. The public are also not immune from the impact of major collapses in the construction sector. By example only, Carillion's collapse meant work on the new Midland Metropolitan Hospital came to a standstill and the reported take over of the project by Skanska came to nothing. In the end direct government funding has been required and the completion date (originally 2018 and then 2019) has been put back to 2022 or beyond. One hopes that none of the great and the good sitting in Interserve's boardroom and/or HM Government will be tempted to brush aside market concerns by using words such as, 'Crisis? What crisis?'. I hope that Interserve will manage to work through its current problems and avoid becoming the next Carillion. If, however, it does succumb to what some market observers consider to be an inevitable end, I can only quote the late, great Yogi Berra, "It's like deja vu all over again". 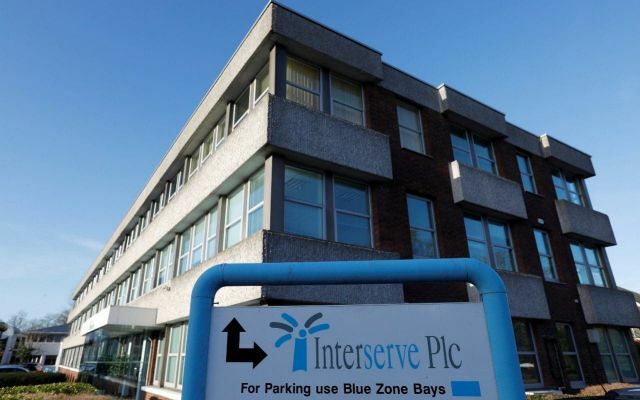 Crisis-hit outsourcer Interserve saw the value of its shares cut in half on Monday after revealing plans for a deal with its lenders that could leave its current investors’ stakes all but wiped out. The company, which builds schools, cleans prisons and maintains roads, said it was in talks with creditors including HSBC and RBS about a possible debt-for-equity swap to tackle its ballooning debt pile which is expected to grow as high as £650m by the end of the year.